Fall is known as the start of flu and cold season. It’s also the season of fall allergies. 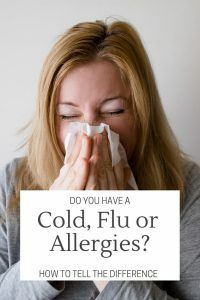 The flu, cold, and allergies have similar symptoms (sneezing, a runny or stuffy nose, coughing, itchy nose and throat, and dark circles under the eyes), so it can be difficult to figure out which you are suffering from. Here are our best tips for figuring out the cause of your illness and how to deal with it. Time – While your flu and cold symptoms will typically appear and clear over the course of a few days. However allergic reactions allergic reactions occur almost immediately upon exposure to the allergen and can last a long time, even up to year-round if you’re continuously exposed to the allergen. If your symptoms hit you suddenly and then fade and appear over many days, it’s probably allergies. If they build up more slowly, it’s probably a cold or the flu. Treatment – Allergy symptoms can be improved by removing yourself from the allergen or taking an anti-allergen medication. Flu and cold symptoms on the other hand typically just have to run their course. Temperature – If you have a fever, you more than likely have the flu or a cold. Generally, allergies do not cause fevers. Once you have determined whether you’re suffering from the flu, a cold, or allergies, you can take the proper steps. For a cold or the flu, the best thing you can do is rest up and stay hydrated. If your symptoms do not improve in a few days, or you have a high fever, see your doctor. Reduce — There are a few ways to reduce the allergens in your home. you can start by closing the windows. Allergens such as pollen tend to blow in from the dying plants in the fall. A proper air filter in your home will also help reduce the amount of allergens in your home. Make sure that your furnace filter has a minimum filtration rating of MERV 8 to capture airborne allergens like pollen, dust, and dander. Both of these will reduce the number of allergens floating around in your air. Remove — When allergens are in the air, they tend to settle onto surfaces like your carpets and upholstery. 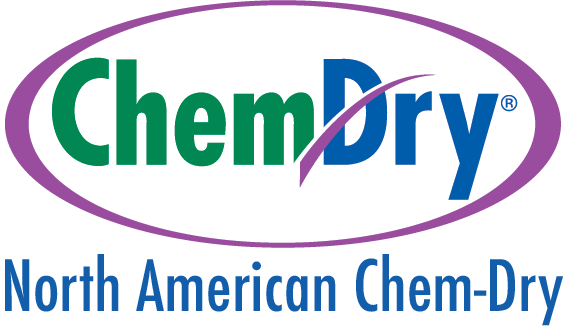 Vacuum your carpets regularly, and consider getting your carpets and upholstery cleaned by a professional such as North American Chem-Dry. In a study conducted by a leading independent lab, our proprietary Hot Carbonating Extraction (HCE) process was found to remove, on average, 98% of common household allergens, such as dog and cat dander and dust mites, from carpets and upholstery. Remove allergens from your home for good with a good cleaning. Relieve — No matter what you do, if you have bad allergies you will occasionally run into allergens, triggering your symptoms. If your allergies continue to bother you after reducing the amount of allergens in your air and removing the allergens in your carpets and upholstery, see your doctor. They will have suggestions for how you can relieve your symptoms. There you have it! While unfortunately, you can’t do much about the flu or a cold, you can help treat your fall allergies, as long as you know that’s what you’re suffering from!